In the past few decades, more and more functions have gained their place on the steering wheel, leaving behind their standard place on the dashboard. Music system, mobile phone and cruise controls are few of such features that have found their place on the steering wheel, right at the fingertips of the driver. These multifunctional steering wheels, as companies call them these days, aid in road safety as the driver doesn’t have to search for these options on the dashboard or anywhere else while driving, ensuring the safety of everyone inside the car as well as those around the car. These controls mostly come company fitted from the beginning and are found in usually the top-end variants of cars. Honda WR-V’s steering wheel is a delight to hold, and is completely fuss-free even at high speeds or while driving in the city. The multifunctional steering comes with an electric adjust feature. The action-packed steering of WR-V houses several controls, like those for music system, voice command cruise control and handsfree. 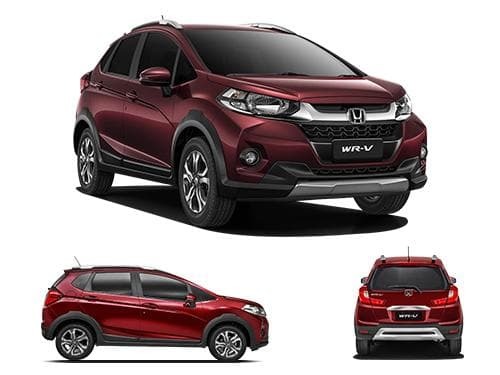 The variants of Honda WR-V that offer steering mounted controls as standard include Edge Edition Diesel, Edge Edition Petrol, Exclusive Edition Diesel, Exclusive Edition Petrol, S Diesel, S MT Alive Edition Diesel, S MT Alive Edition Petrol, S Petrol, VX Diesel, VX Petrol.